An official tie-in edition of this eloquent and powerful memoir, to accompany Steve McQueen's major new film starring Brad Pitt, Michael Fassbender, Benedict Cumberbatch, Paul Giamatti, Chiwetel Ejiofor and Quvenzhané Wallis. 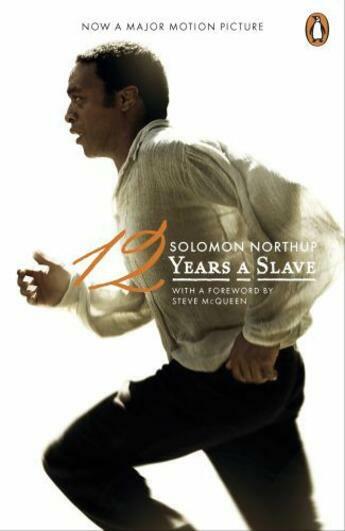 Solomon Northup is a free man, living in New York. Then he is kidnapped and sold into slavery. Drugged, beaten, given a new name and transported away from his wife and children to a Louisiana cotton plantation, Solomon will die if he reveals his true identity. This is the searing true story of his twelve years as a slave: the endless brutality, daily humiliations and constant fear, but also the small ways in which he and his fellow men try to survive. Twelve Years a Slave is a unique, unflinching record of slavery from the inside, and the incredible account of one man whose life was ripped from him - and who fought to get it back. 'A moving, vital testament to one of slavery's "many thousands gone" who retained his humanity in the bowels of degradation' - Saturday Review 'I could not believe that I had never heard of this book. It felt as important as Anne Frank's diary, only published nearly a hundred years before' - Steve McQueen Solomon Northup was a free man kidnapped into slavery in Washington, D.C. in 1841. Shortly after his escape, he published his memoirs to great acclaim and brought legal action against his abductors, though they were never prosecuted. The details of his life thereafter are unknown, but he is believed to have died in Glen Falls, New York, around 1863.